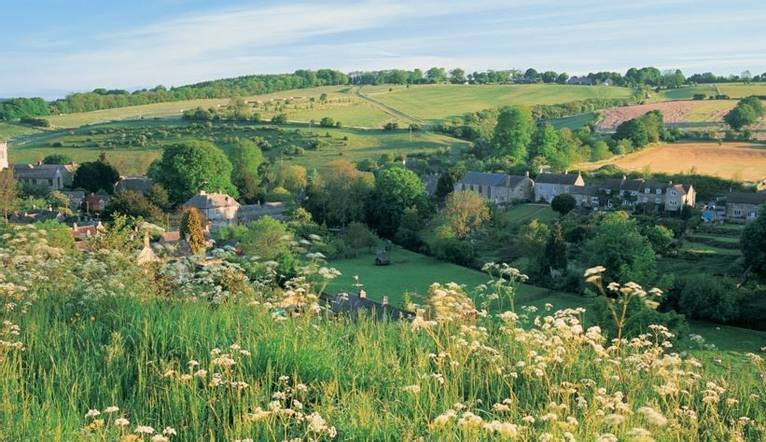 Showcasing some of the most breathtaking scenery, the best walking trails and chocolate box English villages, the Cotswolds is world renowned as one the most charming and explorable regions of the UK. Our 2 guided walks include riversides, villages, a spot of history with the odd story thrown in and of course the odd pub for lunch! Come and explore the Cotswolds on our new UK rambling break. Our coach on Saturday takes over to the small village of Lower Swell on the River Dikler. We take in the Cotswold vernacular style of building with its limestone roofs and stonework. The walk to Lower Slaughter takes us past Hyde Mill, one of the many mills which attest to the earlier habitation of the Cotswolds and its wool trade. Lower Slaughter itself has a mill recorded in the Doomsday Book in 1086; its no longer running as a mill but a welcome coffee stop. A short walk to Upper Slaughter, one of the few ‘Double Thankful’ Villages in England, is across meadows and past a 16th Century Manor House. Continuing along the Windrush River leads eventually across to Naunton, in mediaeval times a ‘new town’ but now a quaint village with our lunch stop, The Black Horse pub (own cost). We pass the 16th-17th dovecot and the Norman church, en route to Guiting Power and its picturesque village green. Sunday’s walk heads out from Cranham Corner firstly taking us north through the Cotswold Commons and Beechwoods National Nature Reserve - using the Cotswold Way - to the famous cheese-rolling site of Coopers Hill, previously famous as the ancient defensive hill site of High Brotheridge, occupied in Roman times. From here we continue a short way before leaving the Cotswold Way to walk through Ladlecombe, past the site of the sanatorium where George Blake (aka Orwell) finalised 1984. We then cross part of the Common to pass through Cranham village using the Gustav Holst Way to pause at the church, which gives its name to the well-known melody for In the Deep Midwinter, inspired while snowed in on a visit to his mother. Now on the last stretch we cross the Painswick Stream, once home to some 25 mills and finishing with lunch at the Royal William pub (own cost). Located on the outskirts of historic Gloucester and a short drive from the beautiful Cotswolds. We can unwind after a days’ walking in the bar before dinner in the restaurant. Further facilities include a health club with indoor swimming pool, gym, spa pool, steam room, sauna, squash court and treatment rooms (charges apply). All bedrooms feature Freeview TV, tea/coffee-making facilities, WiFi, iron and hairdryer. The hotel is located off Junction 11 of the M5. The nearest station is Gloucester approximately 3 miles away. Complimentary car parking is available. Two guided walks are included in the programme. The walking programme is graded easy to medium and you can expect to walk up to 14.5km (9 miles) on the first walk and around 8km (5 miles) on the second walk. A coach will be used to transfer you to the starting point of the walks.